Enjoy Flexible Tenor & Favourable Step-up Interest Rate on Early Withdrawal. Enjoy time deposit’s stable interest earnings and current deposit’s flexible early withdrawal at the same time! Step-up TD is available for USD & HKD. USD interest rate upon 2-year maturity is 3.1% p.a. or 3.3% p.a. ( For qualified Priority Banking Clients only with new fund ≥ 50% of Step-up deposit amount). HKD interest rate upon 2-year maturity is 2.5% p.a. 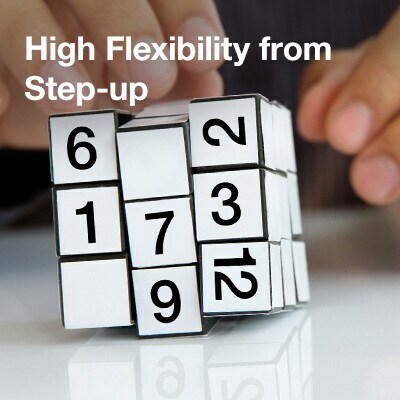 To enjoy flexible early withdrawal and step-up upward interest rate subject to the actual tenor. Step-up Time Deposit in this form refers to the time deposit of selected foreign currencies (currently including USD and HKD) offered to all individual clients by the Bank. 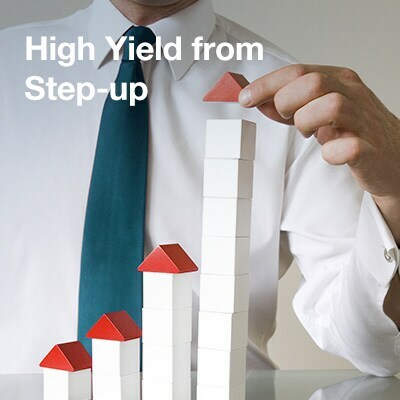 The minimum initial amount of Step-up Time Deposit is USD 30,000 or HKD 200,000 respectively and the tenor is 2 years. a) Only full early withdrawal is permitted for Step-up Time Deposit while partial early withdrawal is not allowed. b) Clients may withdraw Step-up Time Deposit in full amount before the maturity date by visiting the Bank’s branches or calling our Client Care Center Hotline or through other channels announced by the Bank at that moment. c) Step-up Time Deposit will not be automatically renewed upon maturity; the principal and all accrued interest will be credited upon the maturity date to the designated USD or HKD account of the customer with the Bank. 4.After the successful placement of Step-up Time Deposit, the Bank will provide the Deal Confirmation Letter to clients with full deal details. Clients may also login online banking or mobile banking to inquire full deal details. Foreign exchange rate may rise or fall with uncertainty due to unexpected market changes. Foreign currency transaction has potential inherent risks and may have positive or negative impact on the client’s interest earnings. The Bank has the right to change the offer details of this Campaign (such as product design, Terms & Conditions, etc.) to the extent permitted by laws and regulation, and make public announcement accordingly on its official website within reasonable time. Clients has the right to request the Bank to fully introduce and explain the rules of this Campaign. (2) As of the last working day of each month, the outstanding principal amount of the client’s real estate mortgage loan in the Bank amounted to RMB 2 million (or equivalent foreign currency) or above. New funds refer to the funds deposited (or remitted) by the client after February 28, 2019. The English version is for your reference only and should there be any discrepancy between the Chinese version and the English version, the Chinese version shall prevail. “the Bank”, “Standard Chartered” or “Standard Chartered Bank” all refer to Standard Chartered Bank (China) Co., Ltd.